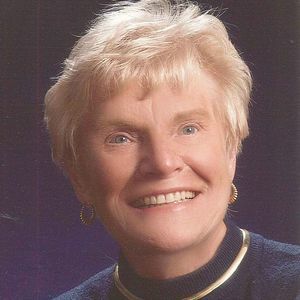 Byrne, Janet K., 82 of Cape May Court House, NJ, died Wednesday, December 6, 2018. Janet was born in Phillipsburg, NJ to the late Harry and Elizabeth Piatt December 3, 1936, the fourth of eight children. She graduated from Sts. Philip and James High School and received her RN from Sacred Heart Nursing School. She worked at Burdette Tomlin Memorial Hospital as an operating room nurse in the 1960's. This past September she and her loved and beloved husband Reginald L. Byrne celebrated 60 years of marriage. Together they owned and operated several motels and retail businesses in Wildwood, NJ. She was a former president of the Greater Wildwood Chamber of Commerce, served on the board of the Cape May County Chamber of Commerce and worked tirelessly on Wildwood's Main Street program. She was a devout Catholic and 54 year parishioner of Our Lady of the Angels Catholic Church. She will be sadly missed by her five children: Ruth Anne Waters (Warner), Elizabeth Conte (Paul Fritsch), Kate Musick (Ed), Reginald Byrne (Maria), Geoffrey Byrne (Trish) and her seven grandchildren, Jessica Rhynalds, Emily Musick, Joshua Musick, Marcello Conte, Gia Conte, Madeline Byrne, and Chloe Byrne as well as her numerous nieces and nephews. The family will receive friends at Our Lady of the Angels Church, 35 East Mechanic Street, Cape May Court House from 9:00 AM- 11:00 AM on Wednesday, December 12 followed by a Mass and Christian burial at Cold Spring Presbyterian Cemetery. In lieu of flowers, donations can be made to St. Jude Children's Research Hospital, PO Box 1893, Memphis, TN 38101-9950 or the Shriner's Hospital of Philadelphia, 3551 N. Broad St. Philadelphia, PA 19140. We were members of Our Lady of Angels for twenty-five years. I met Janet going to daily mass. She was a wonderful person & always had a smile on her face. She is now your guardian angel in heaven. My prayers are with the whole Byrnes family during these tough times. To the entire Byrne Family - I am so sorry to for your loss. Wishing you feelings of comfort, moments of peace and memories of joy during this difficult time. You all are in my prayers. Rest In Peace Mrs. Byrne.